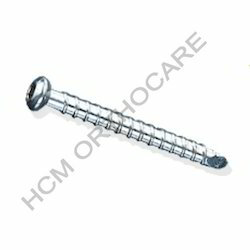 Leading Exporter of locking bolts self tapping, 3.9 mm locking bolts and orthopedic locking bolts from Ahmedabad. We are reputed manufacturers, exporters, wholesalers and retailers of high quality 3.4 mm Locking Bolts Self Tapping. These products designed precisely under the guidance of our experts professionals. Our range is acclaimed across the globe for its timely delivery and Dimensional stability. Backed by our industrial experience and cutting edge technology, we offer premium quality 3.9 mm Locking Bolts Self Tapping to our esteemed clients. Our range is checked on various grounds to ensure its quality standards and is appreciated for its durability, corrosion resistant and hygiene. 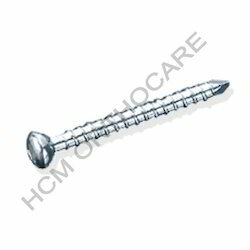 The expert team of our company offers supreme quality Orthopedic Locking Bolts /4.9 mm Locking Bolts Self Tapping to our clients. These products are manufactured using high grade raw materials that are sourced from reliable vendors. They are offered to our clients in 8.0 mm Head Dia, 4.9 milli meter Thread Dia, 3.4 mm Core dia and 3.5 milli meter Hexagonal Socket. 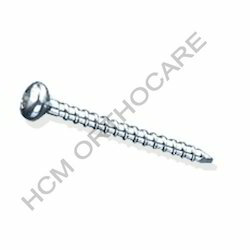 Looking for Surgical Locking Bolt ?